My name is Kasey Mathews. 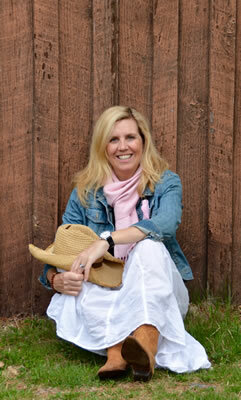 As a busy Mom of two, I found myself living in a constant state of overwhelm. Every morning, I’d start the day making a long “To Do” list of the things I needed to get done – most of them for everybody else! But no matter how hard I tried to check everything off that list, most days I hardly got anything done at all. My life seemed to be spinning in circles, and I was going around and around, never getting anywhere. I ended most days feeling frustrated, drained and like a failure. Finally, I got so sick and tired of living this way and decided I had to make a change! That’s when I discovered a new way of organizing my days! The Magical Living Four Fundamentals Daily Planner™ was the gift that came out of my frustration! Now I plan my days in a Soulful Way and start and finish every day feeling incredibly grounded, productive and full of joy! 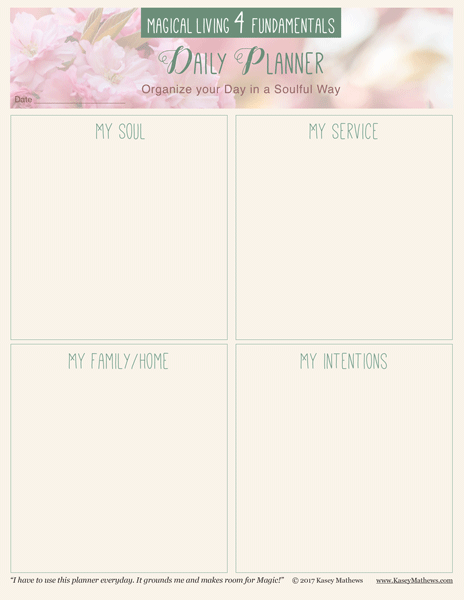 I’m so delighted to share my Magical Living Daily Planner™ with you! It’s the secret behind the Magic in my life and how YOU can discover the Magic in yours! I can’t wait for you to discover how this simple way of changing the way you plan your days, will change your life in so many positive ways! Would You Like to Feel Happier & More Fulfilled? Rest assured – your email will never be shared!